The Milbridge Farmers’ Market takes place in the picturesque coastal fishing town of Milbridge in the Camden National Bank parking lot on Route 1. Member producers bring field grown perennial herb and flower plants, vegetable and herb seedlings, goat cheeses and soap, locally raised pork, organic wild blueberries, jams, eggs, baked goods, mixed produce & farm produced yarn & fiber products to the market. There is often live local music and a local “guest craftsperson”. Outdoor activities near the market: The Riverside Park is a block from the market. The accessible, paved path leads to a bluff with benches overlooking the Narraguagus Bay, & the fishing & pleasure boats below. At the end of the walking trail is a gazebo, perfect for a family picnic. Also nearby is McClellan Park with a picnic area, camp sites and the rockbound coast of Maine where you can climb on the rocks and often watch fishing boats. 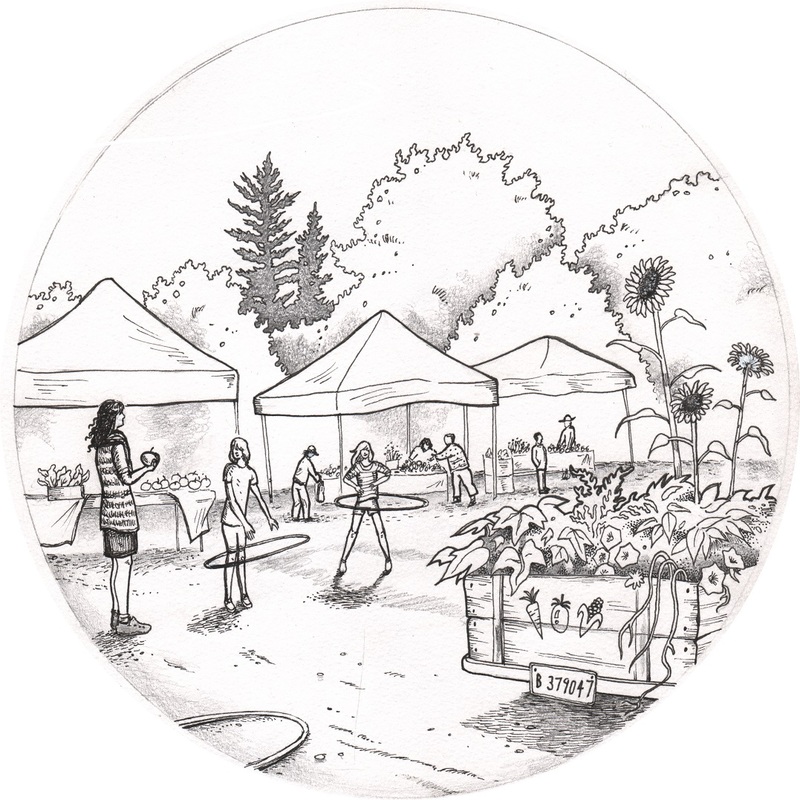 Indoor activity: Milbridge Farmers’ Market coloring page here.